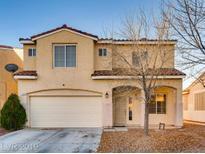 Below you can view all the homes for sale in the Moondance At Silverado Ranch subdivision located in Las Vegas Nevada. Listings in Moondance At Silverado Ranch are updated daily from data we receive from the Las Vegas multiple listing service. To learn more about any of these homes or to receive custom notifications when a new property is listed for sale in Moondance At Silverado Ranch, give us a call at 702-323-5939. Features: Freshly Painted Two Tone Paint, New Carpet , Laminate Wood Floors In Living Areas , Kitchen With Granite Countertops, Built In Microwave, Large Yard With Covered Patio, New Expoxy Flooring In Garage, Large Loft Area Upstairs, Separate Family Rooms, Fireplace, Celilng Fans, New Blinds, Master Suite With Walk In Closet, Nice Sized Bedrooms And Closet Spaces, New Fixtures And Faucets, Solar Screens. 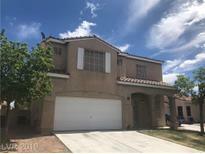 MLS#2090483. Brazill Team Real Estate. Master bath with double sink vanities walk in closet, garden tub, and shower MLS#2064537. Century 21 Americana.